Social media exposure is a terrific way to reinforce your personal brand by showing your professional expertise. If you are consistent in dedicating regularly 15-20 min per day to help others with your expertise, grow your network and aim to impress the right people, when they know of relevant job openings, they will immediately think of you. This will be a very strong help to your job search. You should use Twitter as part of your job search either short-term (searching Twitter for relevant job leads) and long-term (growing your personal brand to attract job leads). Explore. Spend some time surfing Twitter profiles to get a feel for how people are using it. Don’t start immediately following your friends as suggested: wait until you have a professionally impressive profile. Plan. Your main goal is to find a job, but what are your secondary goals? Specific people to meet, industry news to follow, etc.? Start following this route, but don’t spend too much time in this phase: your ideas will probably change once you get on with it. Just rewrite your goals and strategy accordingly, in case. Be selective. Check your followers’ list from time to time to detect bots and not relevant or interesting ones. Start tweeting! Before you have any followers, twitter a handful of messages to show people what they’ll see when they follow you. Continue doing it, at least 15-30 minutes per day as you slowly grow your network. Provide value by sharing tips, news or resource links about your profession and industry. Answering as many questions as you can, quickly and well. Enjoy yourself too, while helping your followers as much as you can. This will make you be considered worth following. Ask for referrals after you’ve just helped someone with your expertise because that’s precisely the moment they are most impressed by you. When your Twitter profile is ready to show off, use Twitter’s Find People tool to invite your email friends and contacts to follow you. Browse Twitter directories to find industry professionals to follow. Search for your keywords and specify “site:twitter.com”. To also catch future results, use Google Alerts to get notified by email when they happen. Check which hashtags are generally used by people who might have jobs to offer. Grow your network some more. Follow who your followers are following. Visit people’s profiles and websites very carefully. Occasionally, tweet to remind about your job search. Your Twitter friends need to know that you’re job hunting. Twitter is all about enabling users to send out brief messages to large audiences. 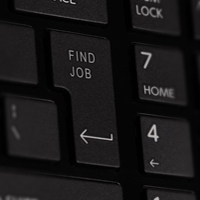 If you follow the above-mentioned tips, your job search will become so much easier. If you check our latest real estate job opportunities, finding your perfect new job will become even faster! ← Previous Previous post: What is a buyer’s, seller’s and neutral market and how is it like in the UK?